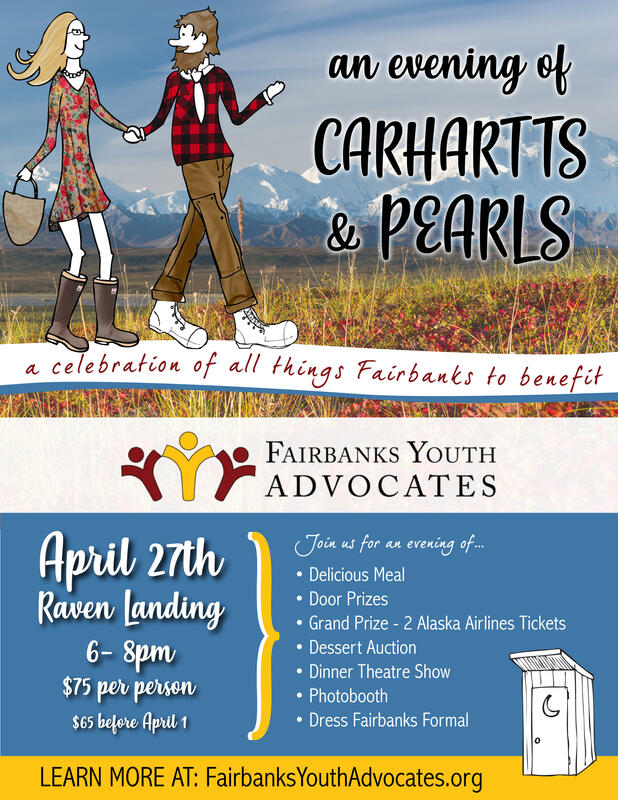 Carhartts & Pearls is a celebration of our life in the north with a delicious meal, door prizes, dinner theatre show, dessert auction, photobooth, grand prize: 2 Alaska Airline Tickets. All proceeds benefit youth served through Fairbanks Youth Advocates' The Door. 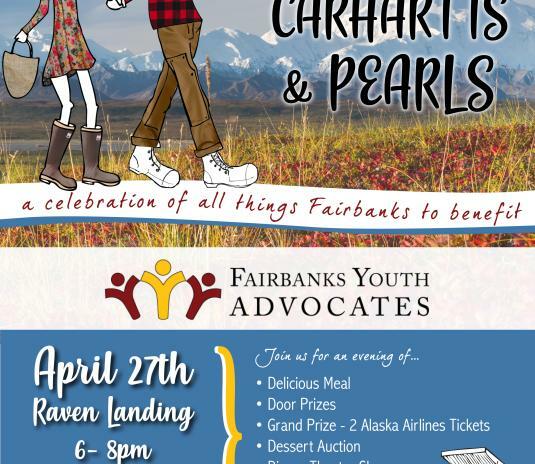 Purchase tickets in person @ Clearwater Counseling - 122 Tenth Ave. or online https://www.fairbanksyouthadvocates.org/carhartts-and-pearls/.